When you are ready to start on home renovations, rest assured to know that you don’t have to take care of the difficult work without assistance. Instead, tap into the experience that is offered by a trusted contractor in the industry. Combining quality materials with excellent installation services is a proven way to improve the quality of your home. At California Custom Creations, we are here to assist. 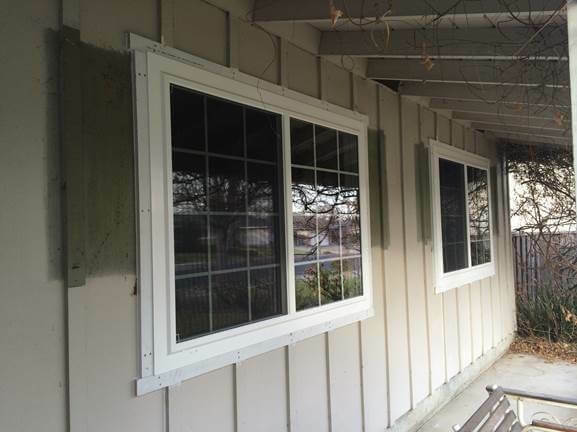 If you are considering the installation of replacement windows and doors in Sunnyvale, CA, then we encourage you to call today. Personalized Consultation: We always start the process with a conversation that is focused on your needs and desires. Do you have specific requests for the new windows? How do you want your home to look after we are done with the installation? This consultation is an opportunity for us to learn more about your goals, inspect your windows, and answer your questions. Custom Proposal: Now that we have more information about your preferences, we will provide a custom proposal for the work that needs to be completed. We strive to be transparent with our billing practices and the scope of work that will be completed for the project. This proposal can be adjusted based on your needs and requests. Design Process: When you decide to move forward with the window and door replacement project, then you have the opportunity to work with our design team. We help you explore the options and choose the details that will support the needs of your family. This interactive process ensures that you receive the perfect materials for your home. Manufacturing the Products: You don’t need to worry about anything when it is time to manufacture the materials. We work with excellent manufacturers in the industry to ensure quality for every project. This manufacturing will be catered to match your designs that were finalized with our team. Installation and Completion: Finally, we will schedule a time to take care of the installation. You can relax while our team takes care of the hard work. We will bring the materials to your home, remove the old windows, and oversee the quality and durability of every window installation. We pay attention to the details to provide the best results for your project. As you learn more about our company at California Custom Creations, you will see that we have built a solid industry reputation over the years. We never cut corners when it comes to installation or quality. We want to be sure that you love the results of the project. So, we maintain open communication about your needs. What do you need to know about your new windows and doors? If you aren’t familiar with the industry, then it can be helpful to sort through information so that you understand your options for the installation. There is no reason to rush these decisions. Instead, take the time that is needed to talk to our team about your options. Additionally, you can ask questions and discuss your options with our staff. We are always here to assist with your needs and preferences. As you learn more about replacement windows and doors in Sunnyvale, CA, it is empowering to gain the information for your home renovations. You can use this information to ensure optimal results for the project. Are you worried about the installation of these products because you don’t know how you will pay for the work that needs to be completed? Even if you can’t pay cash for the services, other financing options might be considered. Don’t let the money stop you from making the home renovations that are needed. It is common for homeowners to look at options available through the bank or mortgage lender. For example, a home equity line of credit can be used to pay for the services. Rest assured to know that this investment can offer financial benefits for your family because of the higher property value in the future.